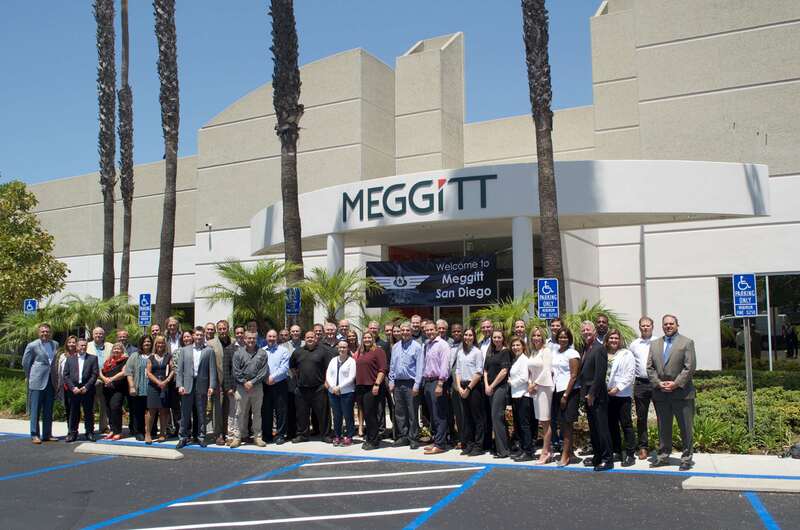 SAN DIEGO, Calif. – Aug. 9, 2018 – Meggitt Polymers & Composites (MPC) held a grand opening ceremony and reception on Wed., Aug. 8, 2018, for a significant expansion and reconfiguration of its San Diego manufacturing operations. The “Top Gun” project, located on the street of the same name, consolidates two locations which totaled 75,000 sq. ft. into a single nearby facility providing 120,000 sq. ft. of expanded capacity. 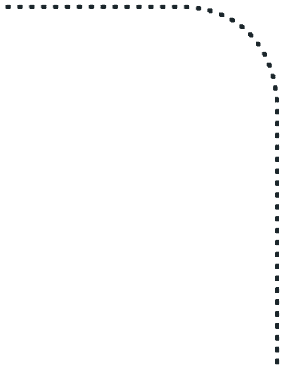 MPC is a division of Meggitt PLC, a global engineering group specializing in extreme environment components and smart sub-systems for aerospace, defense and energy markets. The expansion sets a new benchmark for aerospace composites manufacturing, enabling Meggitt to create a state-of-the-art, highly-efficient, cellular manufacturing flow utilizing the latest technologies. 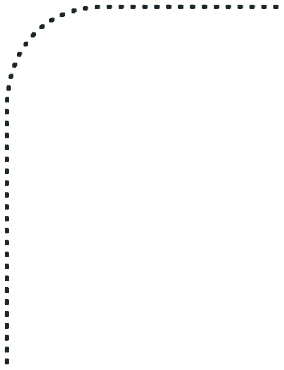 It provides the scalable capacity needed to support notable customer platforms, for both growth in legacy programs and expected growth in new programs. In attendance to celebrate the grand opening were key elected officials as well as Meggitt leaders, local team members, suppliers and customers. The project represents a substantial investment in the local economy in terms of both employment and increased revenue for local businesses. The need for additional manufacturing capacity was identified in 2014, as growth rates on key defense programs forecast increases beyond the existing footprint’s capability. When combined with new commercial opportunities, the project was initiated. In 2016, a cross-functional team was selected to design the new facility using the company’s Production Preparation Process (3P) to lay out each production line to eliminate waste in the form of footprint, walking distances and material travel. The new facility includes efficient production lines and environmentally controlled manufacturing space. In addition to part flow, teamwork is enhanced by co-locating production support functions on the product lines and establishing an open-concept office designed to foster communication, teamwork and a high-performance culture. 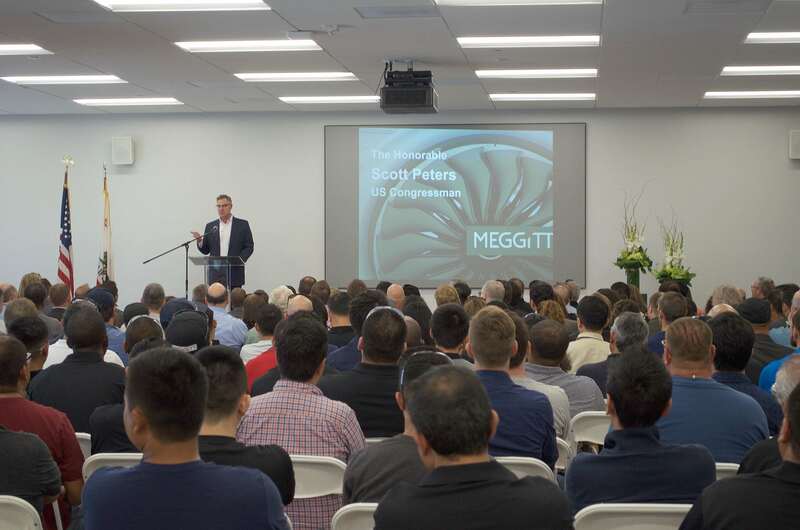 The San Diego MPC location is the Meggitt Group Center of Excellence for complex, molded aircraft engine components and structures used in extreme environments. Its expertise is in high-volume components for engines and adjacencies, missiles and munitions, and structural components on the industry-leading commercial and defense aviation platforms. U.S. Congressman Scott Peters addresses the assembled attendees on MPC’s contributions to U.S. defense and the local economy. Ray Ringleb, MPC Senior Director of Business Development, describes the operation’s advanced and highly efficient manufacturing flow to San Diego County Supervisor Kristin Gaspar. 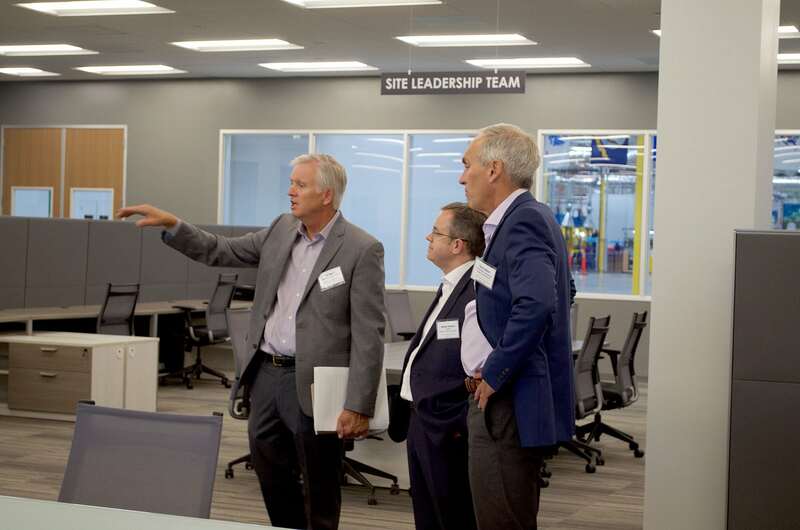 The facility’s open-office plan is reviewed by (l. to r.) Jim Beck, San Diego Site Lead and VP of Operations; Stewart Watson, MPC President; and Dave Wilson, VP of Technology & Engineering for Meggitt Engine Systems (2019).